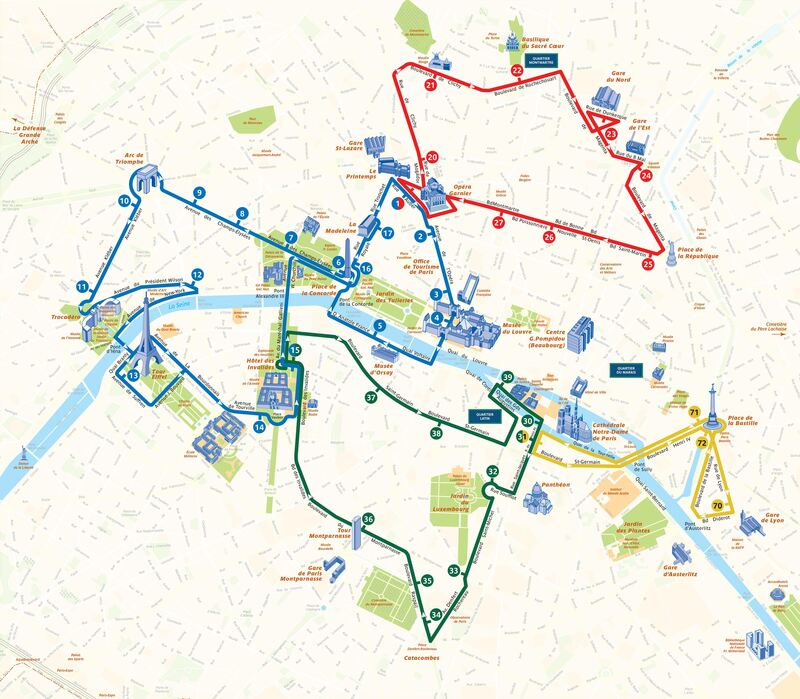 Book your Hop-On Hop-Off sightseeing bus tickets with the Paris l'Open Tour - the easiest and most flexible way to sightsee in Paris! Just hop on one of the many buses and enjoy the ride from an open top bus. Your ticket is valid for 24, 48 or 72 hours from the first time you use it, so it is up to you to decide when to get on the next bus, or when to get off to see and explore Paris. 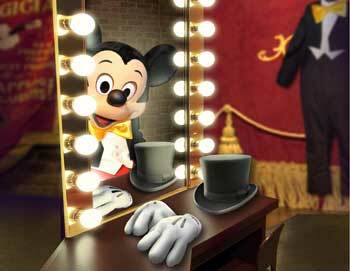 Once you have seen enough, just hop on the next bus and go to the next site or attraction of interest. View a detailed map of the 4 routes and all the stops. 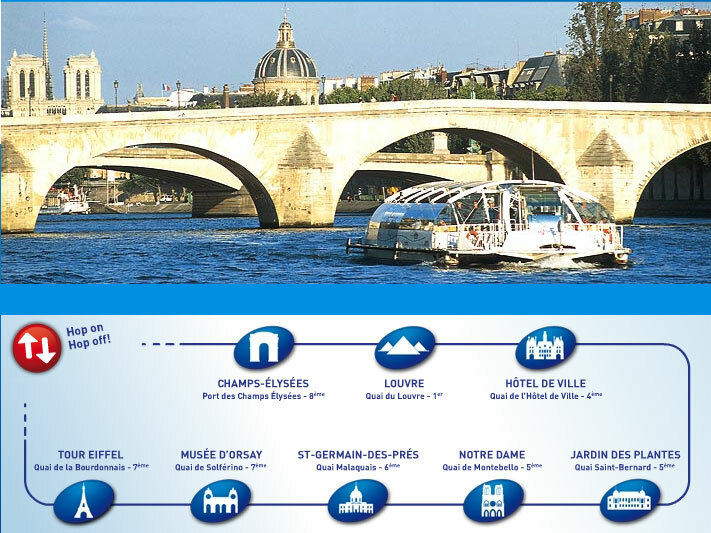 You can also combine your 48 hours Hop-On Hop-Off ticket with a Hop-On Hop-Off cruise on the Seine River with 8 stops, so you can explore Paris from the river as well for 48 hours. View a detailed map of the Batobus route and the 8 stops. You just hop on a bus at any of the designated stops and start your sightseeing.